We have been making software since 2007! cation, government, and home users. With over 10 years' experience in software development, HT Vector has built up a comprehensive range of monitoring and controlling software. We offer effective and reliable employee monitoring, parental control and internet filtering programs. 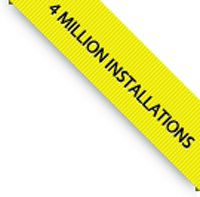 Over 4 million installations in 150 countries. Qualified software reviewers have evaluated our products and given them high praise and such is the feedback we receive from business owners, educational institutions and our users who use our software in their day-to-day life. Our dual mission is to make the Internet safe for children and to provide a comprehensive solution making business more productive for employers. Our parental control software allows parents to control and manage their children's online and offline activities, creating a safe digital space and helping parents to protect their children. Business owners, managers, system administrators in organizations of all types and sizes can improve employee productivity and increase company profit with our employee monitoring software that provides them with control over all employees' computer activities. We are constantly improving and updating our programs while introducing new ones to keep HT Vector at the forefront of parental control and employee monitoring software. We pay great attention to the quality of our products. Our most important priorities are the quality of our software and customer satisfaction. Our products must be of the highest quality and reliability. We also do everything possible to provide superb support to our customers. We have experience in long-term cooperation, including development, modernization, maintenance and support of our products for many years. In today's world, it often requires an individual approach to customer needs. We are always ready to work with clients who may have special requirements. Development of our company has become possible due to the hard work and determination of our staff as well as the high quality of our products and services. The company was founded in 2007 in Vienna, Austria and has business representatives in Eastern Europe. We continue to do our best to improve our programs and services for both home and office.